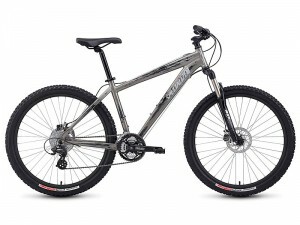 The Specialized Hardrock Sport Disc is specifically designed to handle all terrain. Specialized stresses on utility and durability on this bike. Read on to find out if the Specialized Hardrock Sport Disc is best to suit your missionary riding needs. Competitively priced and handles great on any terrain. One thing to take note of though, the stock fork is probably the least popular component of the bike. You will probably want to upgrade it soon. But other than that, the Specialized Hardrock Sport Disc is an ok all terrain bike. Currently priced at $500 on manufacturer’s website, check out their dealer locator to find out where to shop for the Specialized Hardrock Sport Disc. This entry was posted in Mountain Bikes, Specialized and tagged Hardrock Sport Disc, LDS mission bikes, mountain bikes, Specialized. Bookmark the permalink.